Billie Holiday is considered the world’s greatest jazz singer, impossible to imitate but hugely influential. Born into poverty, she worked as a young girl in a brothel where she heard the recordings of Bessie Smith and Louis Armstrong and developed her own singing style. With a small voice and limited range, she could put more emotion into a song and swing it harder with her phrasing than more gifted vocalists. Her early recordings can make you weep, and as she aged prematurely from heroin addiction, alcohol, and abusive relationships, her voice lost much of its elasticity but none of its emotion. 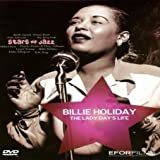 Billie introduced many songs, among them “Easy Living” (1937), “Fine and Mellow” (1939), “God Bless the Child,” (1941) and “Lover Man” (1944) with which she had a big hit. “Good Morning Heartache”(1945) and “Don’t Explain” (1946) are also inextricably linked to her. 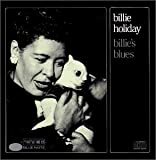 An entire book has been written about just one song, “Strange Fruit,” which Billie introduced at Caf? Society in 1939. Its gruesome lyrics by Abel Meeropol are the strongest indictment of racism ever penned. 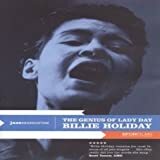 To perceive the magic that was Billie one need only watch her 1957 television appearance on The Sound of Jazz with Young, Ben Webster, Coleman Hawkins, Gerry Mulligan and Roy Eldridge. Her empathy with “Pres” on “Fine and Mellow” is sheer ecstasy.